With breathtaking views that would rival an Alpine race, Trail Marathon Wales last weekend entertained almost 800 runners, with temperatures reaching the mid-20s Wales and GB internationals Alun Vaughan, Andrea Rowlands and Rob Samuel along with Shrewsbury’s Zoe McLennan, taking the honours as large crowds flocked to Coed y Brenin, in North Wales. 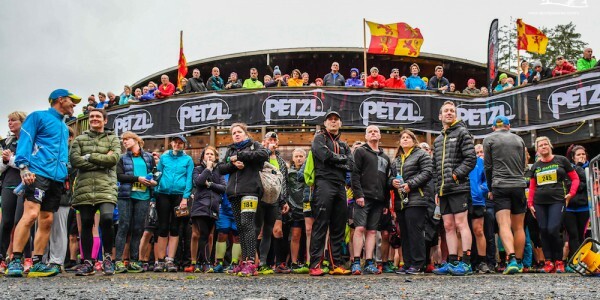 The new visitor centre at Coed y Brenin Forest Park was transformed into an exciting race arena with a festival atmosphere, as the resounding feedback from runners was that the new start / finish area was a big hit. In just 3 years Trail Marathon Wales has grown to be one of the UK’s premium trail marathons with runners traveling from as far a field as the USA, Russia, Spain and Sweden for the 2014 event, and it is easy to see why the race, which take in some of the most technical and beautiful aspects of this 9000 acres forest in the heart of the Snowdonia National Park, is fast-becoming one of the top events on the UK trail running calendar. As racing got underway for 9.00am in dry and warm conditions the full marathon quickly developed into a one-man race as Welsh international Alun Vaughan took hold. Kenilworth runner Andrew Siggers was the race winner in 2013 and after a steady start began to gather himself for the charge after Vaughan, as the race hit half way. As the runners headed away from the Coed y Brenin visitor centre and out onto the second half of the route which took in the world-famous Red Dull / Tarw Du trail, Vaughan was fully in control though, ahead of Siggers and 2013 runner-up Richard Roberts. As the relentless miles of the second half of the race wore on it was apparent that Vaughan was not to be denied, finishing over eight minutes clear of Siggers (3:01:26) by the finish line. His stunning time of 2:53:15 will be an very tough benchmark on this new course, which received universal praise after the event. Roberts finished strongly to take third a further three minutes back (3:04:26) to add to his second place of 2013, stating afterwards that his shoe choice was not quite right for the day, but either way he would not have been able to challenge the super-strong winner on the day. In the women’s event Salomon runner Mary Grace Spalton was back after her victory in the 2013 event. However, Eryri Harrier and Welsh international Andrea Rowlands has been rounding into very good form of late, and had been targeting the event. Speaking at the pre-race conference on the Friday evening Spalton told of her affection for this race, calling the 2013 event “magic”, and was not going to give up her crown easily. Unfortunately for her, 2013 World Long Distance Championship 5th-placer Rowlands was in top form, getting into an early lead as they headed out on the first 13 miles. After giving birth to her first child in 2013 Rowlands showed that her endurance has only got better since then, coming through the half-way point some six minutes clear of Spalton, and going on to plough through the field in the second half of the race to take the victory, over 17 mins up on Mary Grace (3:47:29). Her winning time of 3:30:06 being good enough for an amazing 14th overall. Welsh international Katie Beecher finished a strong third in 3:50:13. In the supporting half marathon event, the men’s race was going always going to be a two-way affair as top mountain runner and 3-time winner of the Snowdonia Marathon Wales Rob Samuel was back, after finishing second in 2013. 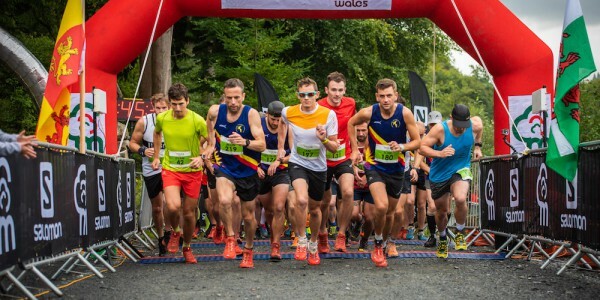 The Wales and GB international had fellow Welsh runner Felipe Jones to contend with this year, but looked in determined mood as 400 half marathon runners snaked their way out of the Coed y Brenin race arena at 9.30am. 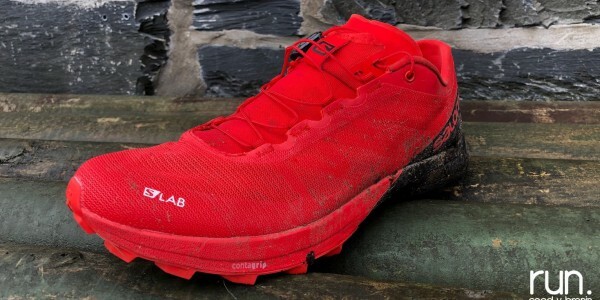 So it proved out on the course as Salomon UK athlete Samuel took up the reins, with Jones following at some one minute as they approached 6 miles, however, Llanberis man Samuel was not to be denied this time round and pulled away in the second 7 miles to take a popular win in 1:23:03, some two and a half minutes clear of Jones (1:25:32) by the finish. Aberystwyth runner Gary Davies completed the top 3 in 1:33:00. Shrewsbury triathlete Zoe McLennan came into the race after a strong year of half marathon performances on the road. 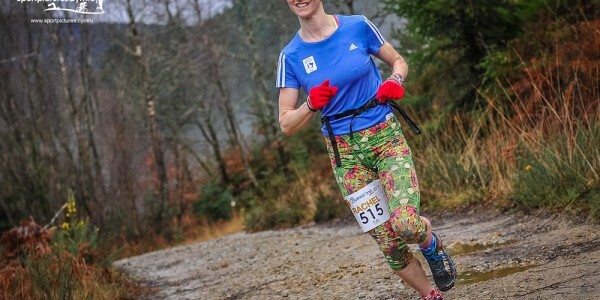 Showing no issues in translating that form onto the trails, 31 year-old McLennan took an excellent win in 1:49:39, ahead of 2013 third placer Shan Roberts (1:52:43), who went one better in 2014 taking second place. Victoria Nealon completed the top 3 in 1:55:06. “This has been a memorable event on a number of levels. We moved the race start and finish to the natural amphitheatre of the Coed y Brenin visitor centres for this year, and it has been an overwhelming success. The whole arena has a very European feel and as the race started this morning you could have mistaken the place for an Alpine village, with the crystal blue skies! The new route which takes in the Tarw Du / Red Bull trail was also a great success, and as runners came through for their second half of the race they were given and extra lift from the crowds. I’d like to thank all of the staff at the Coed y Brenin visitor centre who have been fantastic this last few weeks in helping make the event a success, all of our valued event partners, and lastly a big congratulations and thanks to all for the runners who make this event what it is”. 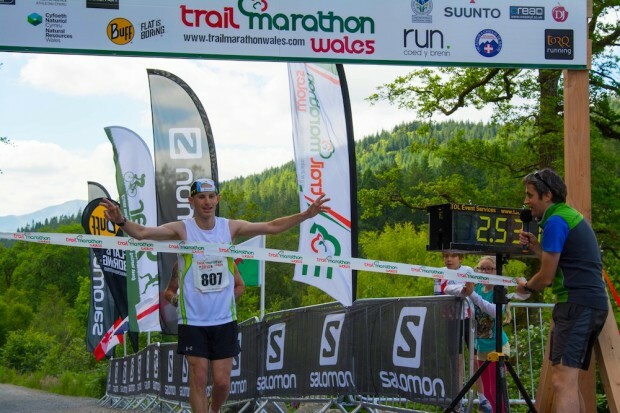 The 2015 Trail Marathon Wales event will take place on Saturday 20th June.